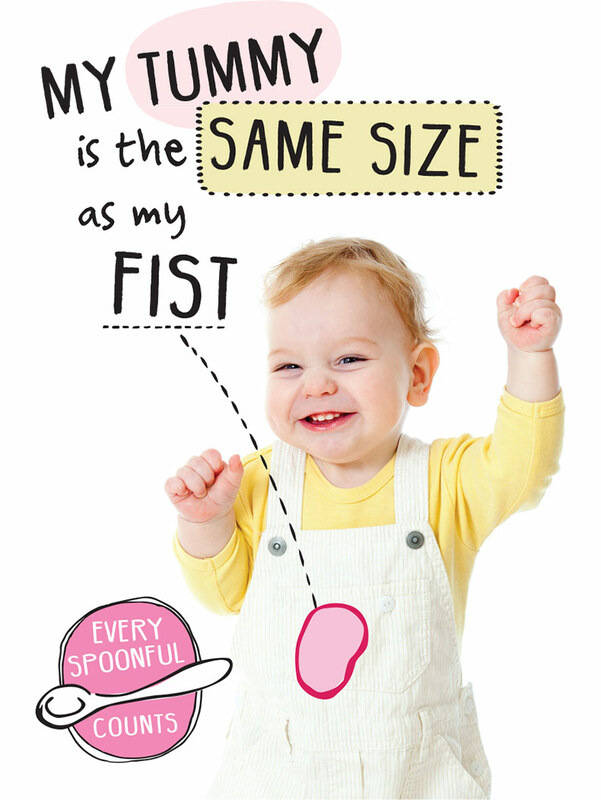 A toddler’s tummy is on average approximately the same size as his or her clenched fist! Although your toddler’s tummy size is small they still have unique nutritional requirements necessary to support this rapid phase of growth and development. For example your toddler for their size, requires nearly 4 times more iron, 5 times more calcium, 5 times more vitamin D and 4 times more vitamin C than adults (per kg of body weight). This can be difficult to achieve if your toddler is filling up on the wrong foods and too many drinks. Also a toddler’s food preferences can change from day-to-day and week-to-week! It can also be a challenge to know what foods are nutritious for your toddler and what a typical portion size is for your toddler. Try to offer your toddler 3 healthy meals and 2-3 healthy snacks based around the toddler food pyramid and the toddler food portion guide. If your toddler is going through a stage of fussy eating, which can be common in toddlerhood, have a look at how much they are drinking throughout the day. A common cause of toddlers refusing meals can be too much milk (or other drinks) in between meals. Toddlers should be offered 6-8 beakers (150-200ml/5-7oz per beaker) of fluid per day (at most 1200-1500mls). They should consume 300mls and at the most 600mls of milk per day. Any more than that and toddlers can simply be too full to eat their meals.